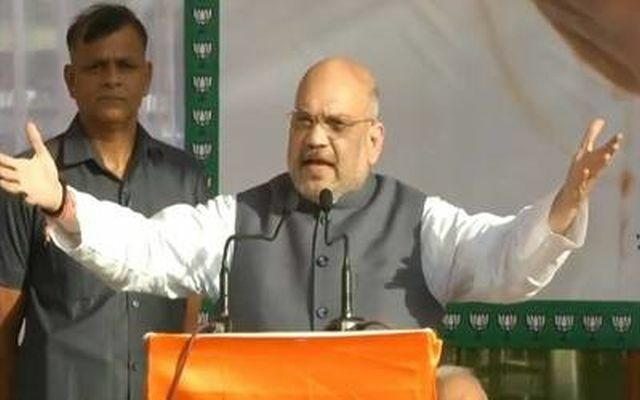 Bhopal, Sep 25 : The Bharatiya Janata Party (BJP) is committed to rid the country of illegal migrants, party President Amit Shah said on Tuesday. Speaking here at the party’s ‘Karyakarta Mahakumbh’ ahead of Assembly election, Shah mentioned the National Register of Citizens in Assam in which over 40 lakh individuals were found to be “illegal”. He said the Congress raised a lot of noise on the possible deportation of the migrants but “the BJP has decided that it will force them out”. Shah urged the party members to create “strong winds” in favour of the BJP in Madhya Pradesh which can eventually turn into a “tsunami” in the general elections next year.